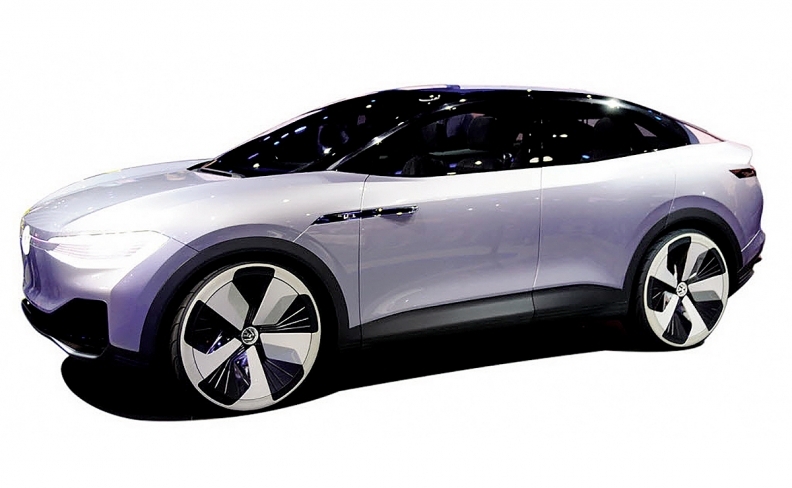 VW's crossover EV will closely resemble the I.D. CROZZ. Volkswagen has shown three electric concept vehicles built on its new MEB platform -- a five-door hatchback, a minivan and a crossover -- and the crossover will arrive first in U.S. dealerships. In Europe, VW’s first MEB-based vehicle will be the five-door hatchback, due in 2020, followed that same year by the electric crossover while the minivan is expected to arrive in 2022. VW officials confirmed that an electrified crossover based closely on the I.D. CROZZ concept that was revealed in April at the Shanghai auto show will be the first to use the battery-powered MEB platform in the U.S., though not until 2020. The all-wheel-drive concept had 302 hp split between a pair of electric motors, and was roughly equivalent in size to the 2018 VW Tiguan crossover. The concept also had an anticipated range of about 300 miles (483 km) on a full charge. That VW will start its all-electric push with a crossover is no a surprise, given recent consumer buying trends. But the decision may disappoint VW enthusiasts who responded warmly to the company's I.D. BUZZ minivan concept shown at the 2017 Detroit auto show. That vehicle, built on the same platform, resonated with the VW faithful because of the ways it recalled the brand's decadeslong history of offering small, customizable Microbuses.